The Birds and the Bees and the Ferns and the Heebs. May is already halfway over, folks. And it’s like 55 degrees outside right now. What is up with that? Not complaining about temps that feel more like March and not May, but you have to admit it’s kinda weird for Central Alabama to be so cold this time of year. I love tropical flowers! 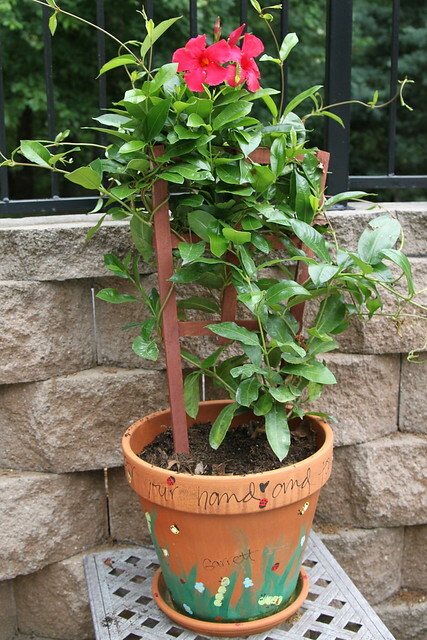 I’ve got a bougainvillaea already, so this mandevilla on a trellis fits right in next to him. Now I need a few hibiscus and I’ll be all set. 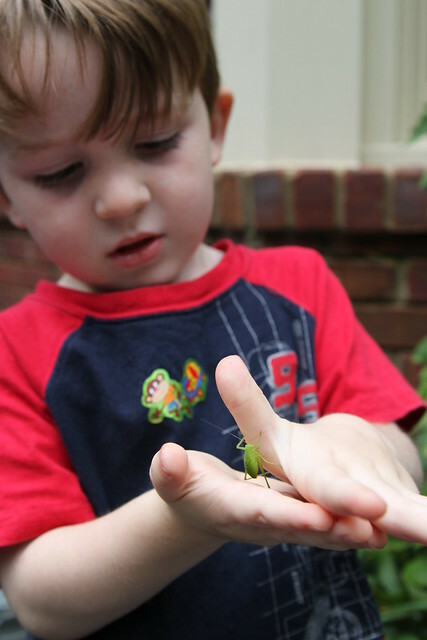 When I was planting the mandevilla I found a grasshopper hiding on the leaves. Garrett had a great time playing with him. 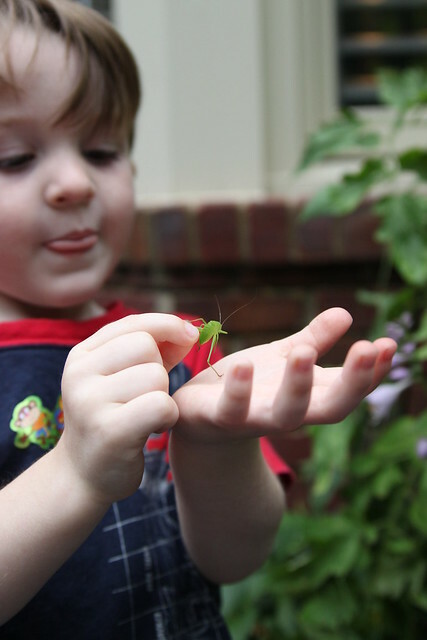 I cannot say that the grasshopper felt the same way. I think he was pretty traumatized after he got the toddler treatment. 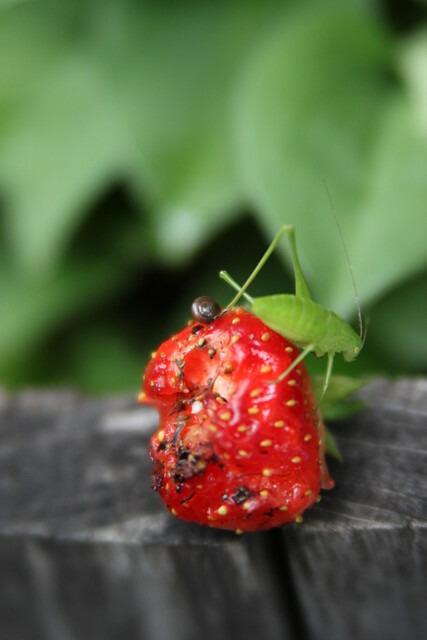 As a consolation prize I let him hang out on one of my half eaten strawberries. And in doing so I finally figured out what has been eating my strawberries! See that little snail chilling out beside the grasshopper? Yeah… he and all his slimy cronies have been sucking the life out of my strawberries for about a month now. YUCK. 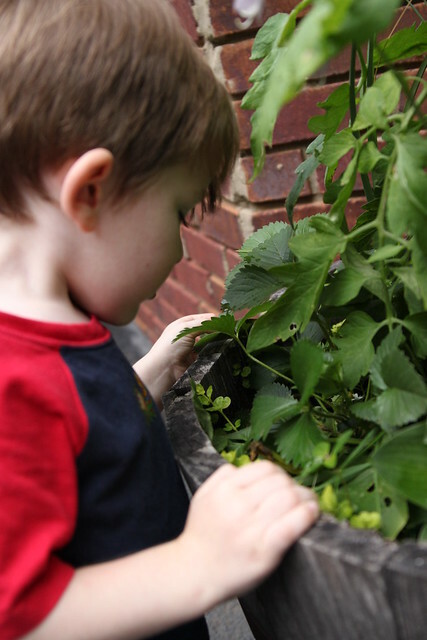 Garrett has been looking forward to eating strawberries ever since we planted them, but every time one ripens up it turns to mush on the inside. Now I know it’s because of the snails! Grrr. What should I do? Salt down my strawberry plants? That seems counterproductive. Help! So far they haven’t climbed up the tomato plant to eat them so my maters are looking great! I counted twelve green ones today with more flowers on the way. 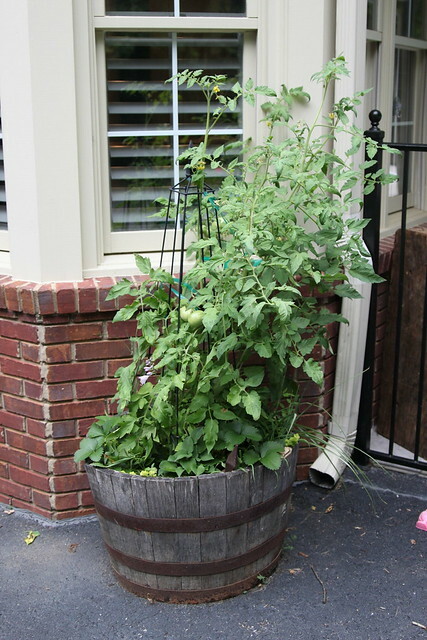 The tomato plant is HUGE. Just massive, and still growing! I can literally open my kitchen window, reach out and grab a tomato right off the vine. 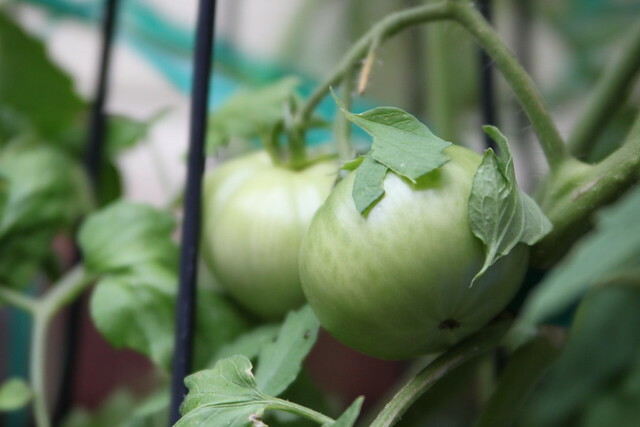 But the way these are booming I have a feeling that I’m gonna be giving away tomatoes all summer. Anyone want to get in line for some? Garrett helped me get his watermelon seeds into a bigger container finally. We may have to transplant them again when they get even bigger but for now this will give them some room to breathe. I’m so excited to see things grow from seeds. And even more excited to have the opportunity to teach Garrett about how to grow things from seeds. 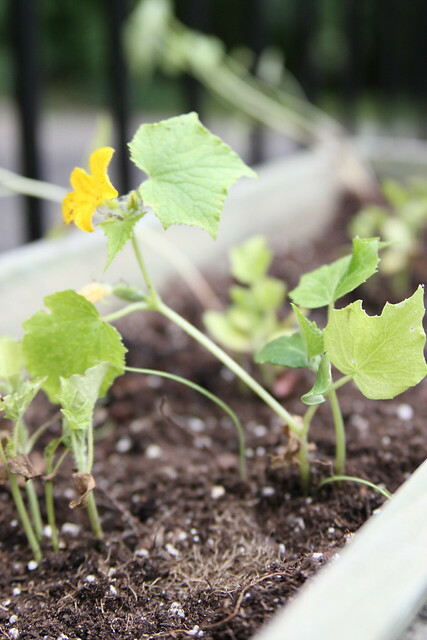 Here is another thing we grew from a seed– cucumbers are blooming! Yay! My Grace Ward lithodora has died in the blue containers already. Pfffffft. So much for that plant. I’m making a vow to never buy another one. I’ve tried to grow it numerous times over the years but never again. I refuse to pay for a plant that will die in just a few months. Plus my time is too precious to waste on something that is that finicky. Y’all remind me of that next spring when their bright blue blooms lure me in at the garden center, mmkay? I planted sweet potato vine in the big gaping hole that was left behind. I think I like the chartreuse color much better anyway! It will be beautiful once it spills over the edge of the pot. Let’s just hope it lives. 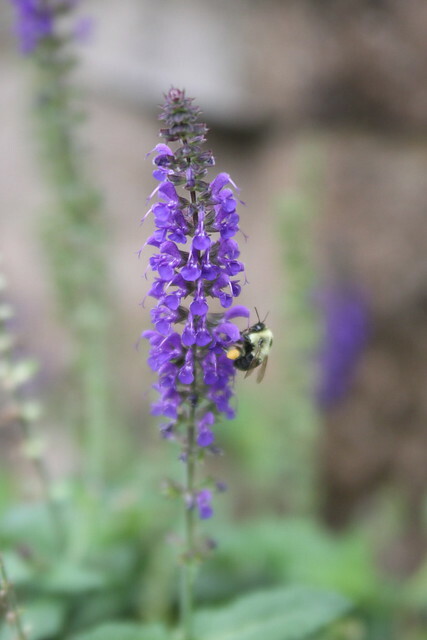 This is my favorite time of year, because the bees are much too busy wallering in the pollen instead of dive-bombing my head. I even got brave and got close enough to snap some pics of this guy while he did his business. This deserves an award since I have bee-aphobia something fierce. Pretty crazy considering I love gardening so much, huh? I found another thing in my garden that gave me the royal heebie jeebies today. 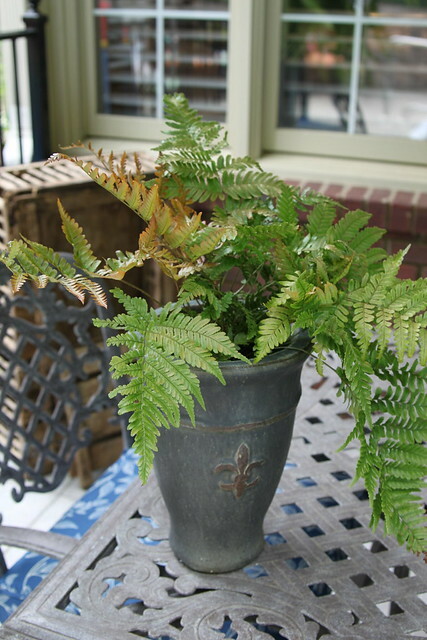 Take a look at my autumn fern growing happily inside it’s pretty pot. I looked closer and noticed he was covered in bumps. Thought that was odd. I turned over the leaf and saw all these octopus-like suckers covering the underside of his fronds. They were perfectly aligned and looked almost like larvae of some kind. Then I saw a dead frond with all the little sucker things on it, too, and I really started getting freaked out! I might have developed a bit of fern-phobia after seeing this. 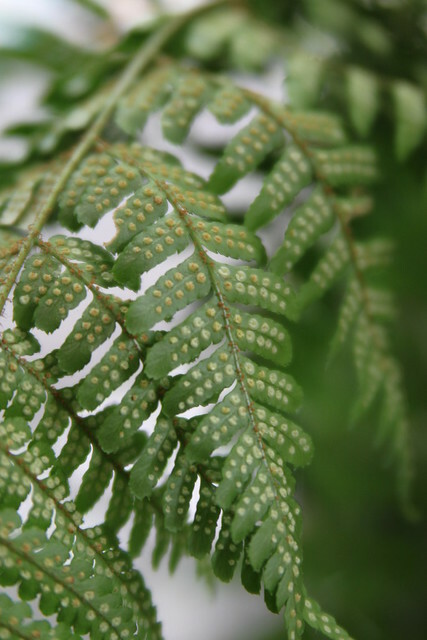 I was positive that my fern had some kind of disease or infestation or alien growing all over it. Totally creeped me out. I plucked off a frond to get a better photo. Then I went in the house and washed my hands just in case it was some kind of fungus among us. 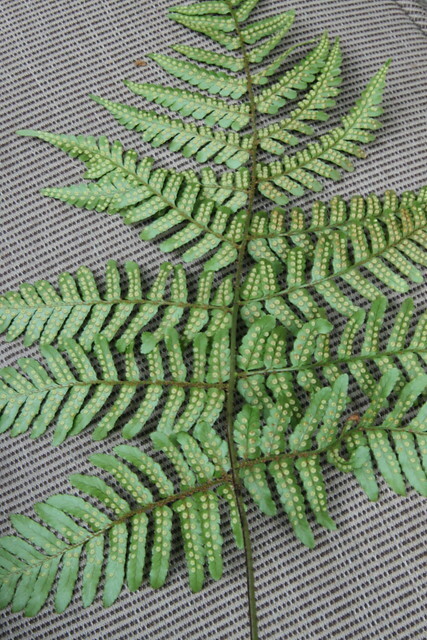 I googled “octopus suckers on fern” and “fern frond disease” and “inchworm larvae on fern frond” and “my fern is creepy” and came up with nothing that indicated what the feck was going on with my fern! Finally, something somewhere led me to the word “sori” which turned out to be singular for “sorus” which is the way ferns reproduce! 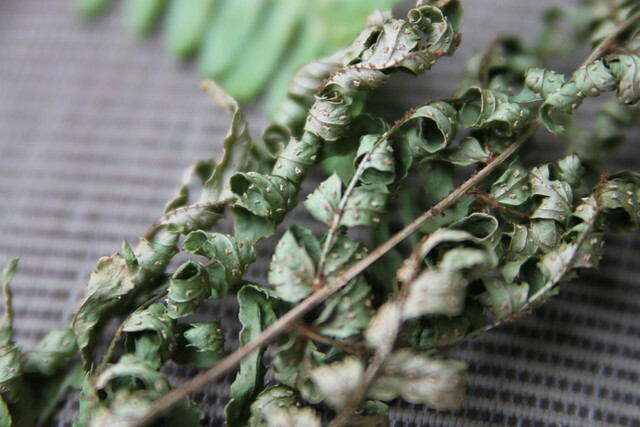 So instead of doing the nasty with the bees, the spores grow on the back of the fronds and then burst out in all their creepy bumpiness and make baby ferns. WHO KNEW?? Well, these people did, and they made me feel better about it all. Ughh… I still get the willies just thinking about the bumpy backside of those ferns. I have so much to learn about gardening. 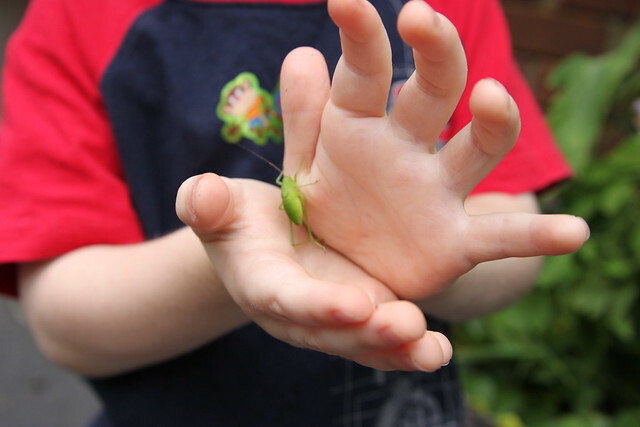 Linking up at Garden Bloggers Bloom Day and my Garden party next week! Ha! That story about your fern was hilarious. I’m glad you figured it out. I was afraid for a moment there that the story was going to end with you throwing away a perfectly good fern! and um…if I were anywhere near you I would def be in line for tomatoes! I can never have enough all summer long! Hi Beth! 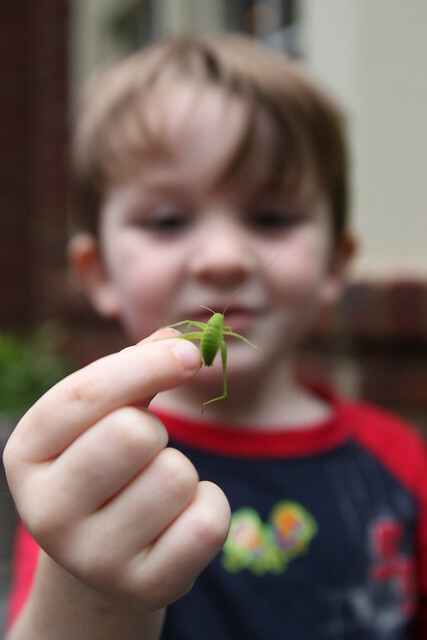 I love the photos of Garrett and the grasshopper. I’m impressed that the grasshopper lived. I think your sweet potato vine is going to be a gorgeous “spiller” and look great against the cobalt blue container. I grew up in B’ham and miss Savage’s Bakery so much…a classic. Love sweet potato vine. Every time I’ve planted it it’s done great, and I have zero gardening abilities. 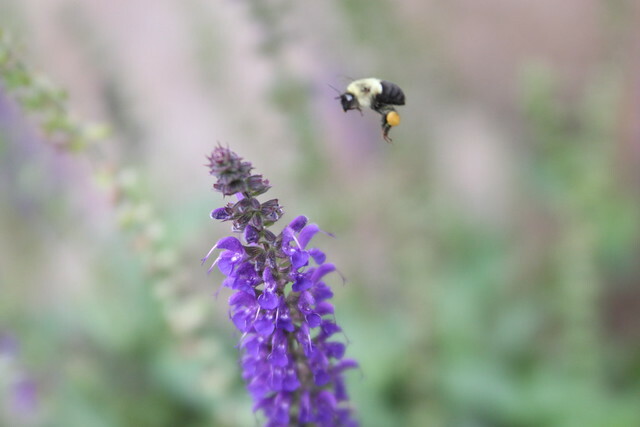 🙂 The bee pics were great, too! My grandfather in law always saved his egg shells (and baked them in the oven so they wouldn’t be icky) and crumbled them at the base of his plants. Apparently the broken shells will cut the snails and they will die. HTH! Love your blog..
Wow amazing photograhps. I especially love your son with the grasshopper. 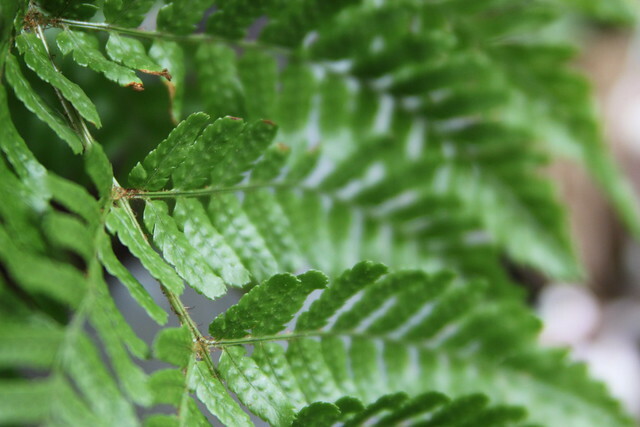 Well I never knew that about ferns either – interesting! Your mandevilla is lovely and climbing up so well. 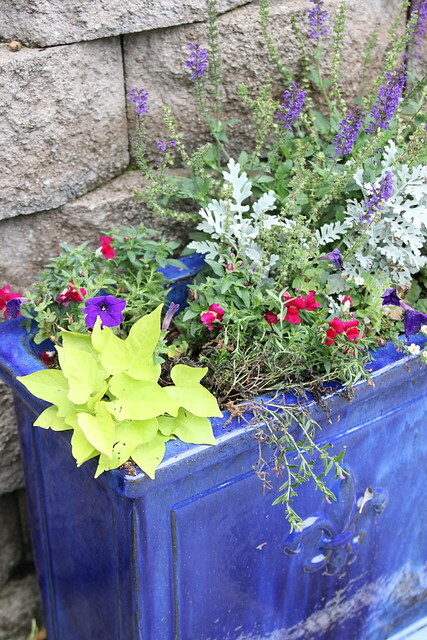 And that container flower garden is gorgeous. 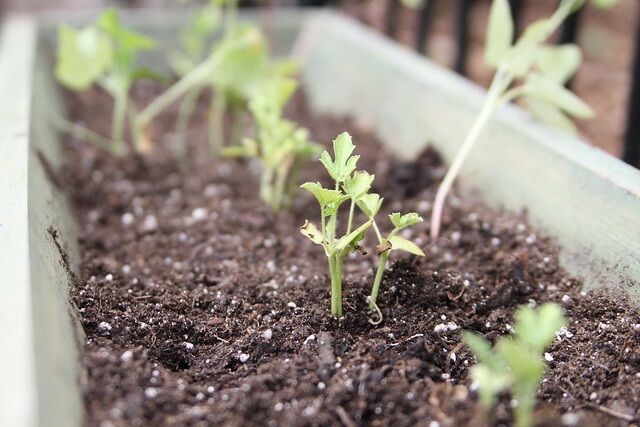 Small sharp pebbles or eggshells at the base of the strawberry plant will keep the snails away. What the feck….HA! Thank for the laugh!! 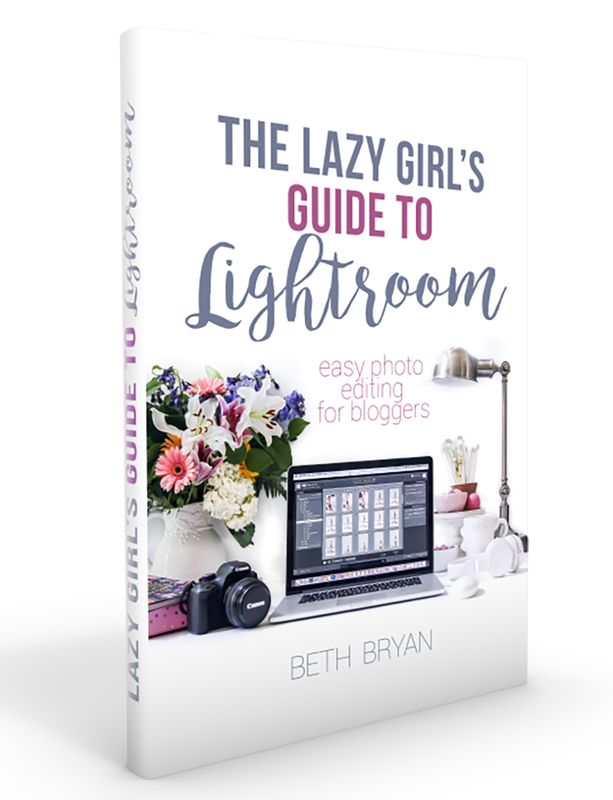 Beth — popped over her from Rachel’s blog and love your pics! Love the mandevilla and the fern story is great. And when I read your dogs names…. Lonesome Dove, huh? Great to meet a fellow Alabama girl.